Foodbuzz Tastemaker Program sent me two Wendy's gift cards to treat myself and a few friends to the New Natural-Cut French Fries with Sea Salt. "New Wendy's fries are exactly like old Wendy's fries, only good when hot and way too easy to mess up. Thus if you order them on four separate occasions, you'll get four different experiences." "I don't like them. Theirs were my favorite fast food fries. Reminds me of when Coke tried New Coke. I hope they change back!" "I tried them twice and Kyle and I don't really care for them :( and we love sea salt!" "So that's what was wrong with them. I got some the other night and they were not good. I thought maybe they had ran out of the regular ones and were borrowing them from Mc'D. Yep, I'd say go back to the old ones." I was not going to be deterred by these naysayers friends and I was going to gather a group together and forge ahead to Wendy's! I was going to purchase the new fries! Swirl them in a Frosty! Accompany them with hot, crispy nuggets, chicken sandwiches, and freshly prepared burgers! The looked like real fries, smelled like real fries (with a little skin on), but upon tasting them for the first time--I was nonplussed. The new Wendy's fries taste awful. They're dry, mealy, and could best be strung together used as shoelaces for Doc Martens (Not unlike the old Wendy's fries of yore) The only difference seems to be in... well... I'm not sure. In an attempt to be fair, I went to four different Wendy's locations and asked for fresh fries. 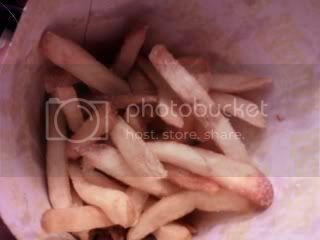 It doesn't matter if they're 1 min old, 1 hour old or 1 day old...these fries are generally not delicious. The last place I went to get fries, they actually tasted a little bit like the old fries. *Each batch of fries generated a different experience. 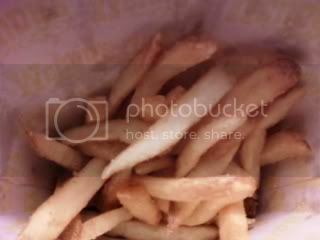 While all of the fries were hot, some were very salty, some were a little greasy, some had a weird aftertaste, some were very crispy, some were very limp. 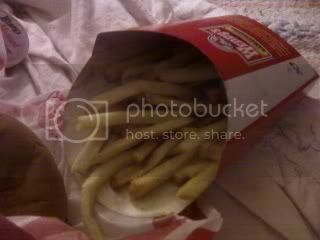 Wendy's has schizophrenic fries. That's what I think. Good for you for being honest in reviewing something you were given for free! "Natural" cut, does that mean they were unnatural B-4? The avg potatoe has 0 fat and only 60 calories while fries depending on the size a small has a 25 gm of fat and 300+ calories. Naturally we are seeing more people DIE of obesity than smoking, no one lets their 3 yr old smoke, but they had better eat all their fries - naturally!